Equities are likely to see gains with investor sentiment improving after Germany’s pledge to support the Eurozone recovery plan. ­Russian markets posted increases Thursday amid the positive news from Europe. The MICEX and the RTS both added 0.25%. 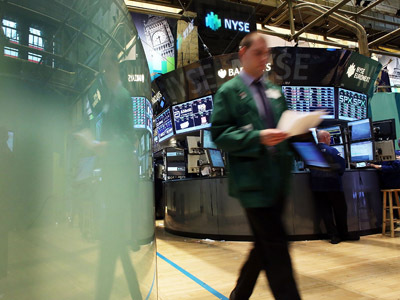 European markets inched higher in a light volume session Thursday, lifted by banking shares. The Stoxx Europe 600 closed 0.3% higher. The Spanish IBEX 35 surged 4.1%, and bond yields dropped following reports the country may draw on emergency bank aid. US stocks rallied Thursday after German Chancellor Angela Merkel said during a trip to Canada that Germany was committed to saving the Euro, as well as a report by the Commerce Department that building permits in July were issued at their highest rate since August 2008. 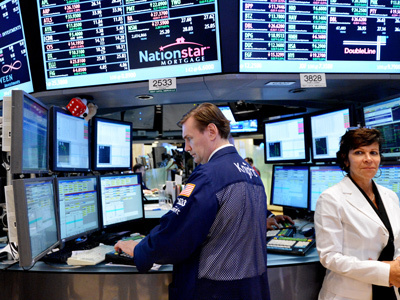 The Dow Jones added 0.65%, the Nasdaq Composite gained 1% and the S&P 500 rose 0.7%. Most Asian markets rose Friday following Merkel's statement. Japan’s Nikkei climbed 0.9% and Australia’s S&P/ASX 200 grew 0.8%. Hong Kong’s Hang Seng rose 0.5% and the Shanghai inched up 0.1%. South Korea’s Kopsi lost 0.7% amid concerns over Samsung Electronics' dispute with Apple.